Get your real estate career started today! 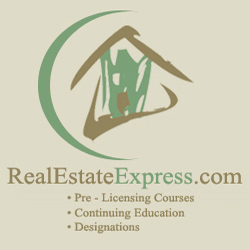 Clicking here can get you enrolled in the real estate courses you need. When you register be sure to enter IvyBeloff as your Account Manager. The content coverage is guided by state licensing requirements and designed to provide a quality educational preparation for licensed activities in the Real Estate business. The primary focus is on providing the knowledge skills and abilities needed to protect the public in its dealings with Real Estate professionals. The course is designed to take a student with no background knowledge of the subject to a level of knowledge that is acceptable to operate in a professional manner in the industry.